OLD PARKED CARS. 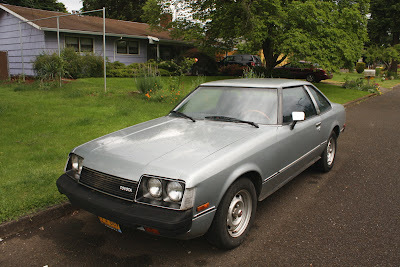 : 1978 Toyota Celica ST Coupe. 1978 Toyota Celica ST Coupe. This car marked the Japanese shedding their home grown designs (F10, 200SX, previous Celica) and hiring Americans to style their cars. This model celica was designed in Toyota's new California studios. I was always curious why Toyota went back to the wacky Japanese look for the next generation Celica and Supra. Their sales took a hit if I remember correctly. I have to disagree. The first generation looked more American inspired while this one looked more Japanese. I found this generation's styling awkward and too economy car-like. It wasn't as muscle car looking as the 1st generation or quirky modern in an 80's way like the 3rd generation. these do look bland next to the first gens, but it has it's charms. I think the round light versions look a little better than the square light ones for the fact that the body still has a little of that 70's look to it. this generation looks like they wanted to make the celica more like a luxury coupe in looks where as already stated the first gen was more the sporty muscle car version. you could say it ran through a couple styles before it settled on its true identity as a sports car signified by the 3rd gen and beyond. Hey, it was the first car of the 80's! OK, the ad shows a hatchback. I always liked the coupe better, anyway. These notchback Celicas are really sharp, great profile shot on this one. 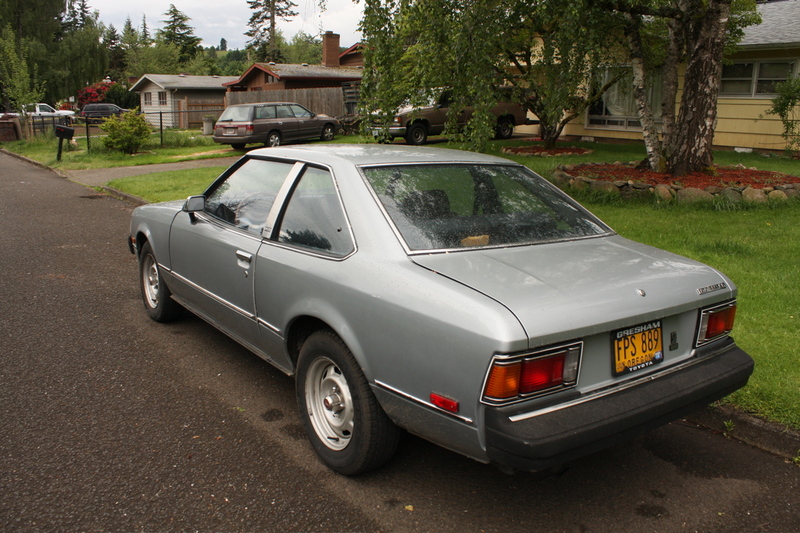 In fact the 1st gen was some kind of economic alternative to American muscle cars of the 70s. With the 2nd gen Toyota tried to design a car for America as well as for the European market and it was the best selling RWD Celica in Europe. Although these cars were much better manufactured than most European coupes at the time, people always connected some "cheap" image with japanese cars, so they were badly cared for and most cars didn't even survive the mid-90s. 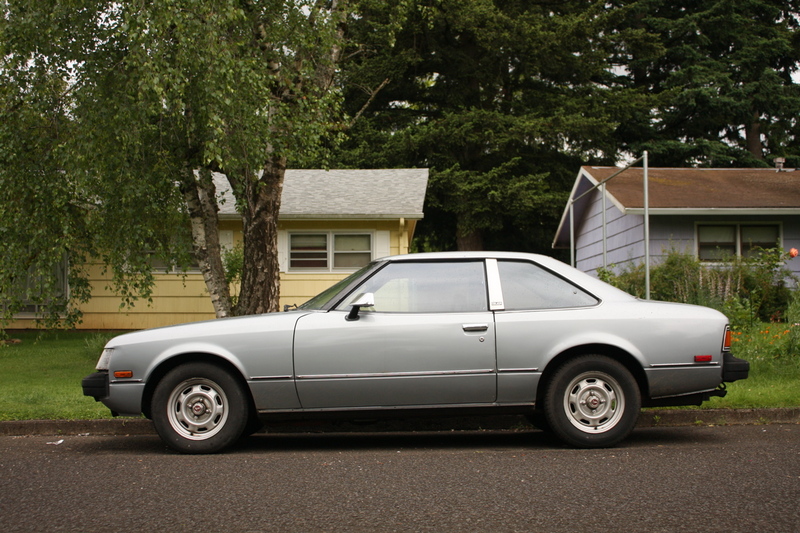 But as they have the coupe body, a fistful of them are still around. Good luck finding a japanese sedan or station wagon of this era! are these celicas for sale? what is the purpose for posting if they are not for sale? If you're searching Google for Celica images, then it might distort your view of this blog. Visit the main page at www.oldparkedcars.com and the intent should be more obvious.